The Italian Chamber of Commerce in Singapore (ICCS) has awarded Massimo Zanetti Beverage Group the 2014 Business Award for the best Italian investment to Singapore thanks to the acquisition ofBoncafe Group. The ICCS, represented by its President Federico Donato, yearly confers this prestigious award on companies and entrepreneurs who stand out for their fulfillment of important investments in Singapore. The acquisition of Boncafe Group underlines the vibrant relationships between Italy and Singapore and the Italian entrepreneurship's interest in such a high-speed development area. 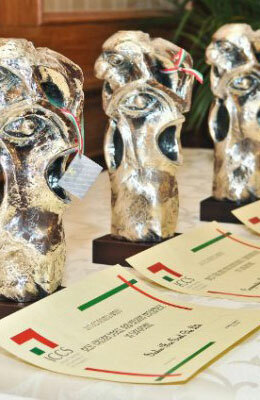 It also represents a pride in the Italian community and Institutions in Singapore, declared President Donato. The ceremony was held Friday, March 20th at the Westin Hotel of Singapore. Christian Huber, Chief Executive Officer ofBoncafe International, received the award on behalf of Massimo Zanetti Beverage Group.